Will Sony slash the price of the PS3 before Xmas 2008? Sony is feeling the pinch in the US following Microsoft's recent spate of Xbox 360 price slashing and needs to reduce the cost of the PlayStation 3 before Xmas 2008, according to latest analyst reports. 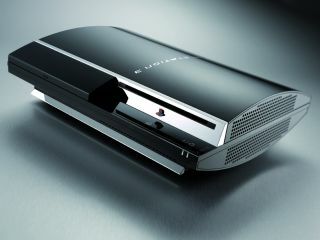 EDAAR analyst Jesse Divnich claims that the PS3 is "too steep" in price for a mainstream market, urging Sony "to consider a possible hardware price cut this holiday season." "We should note that if Microsoft's first-party titles perform significantly better in quality and popularity than Sony's this holiday season, we could begin to see a considerable amount of potential PS3 owners, who may be waiting for a PS3 price cut, to choose the Xbox 360 over the PS3." Divnich goes on to predict that Epic's Gears of War 2 (exclusively developed for Microsoft's Xbox 360) will be the biggest selling game in the US this coming Christmas holiday season. While the Microsoft Xbox 360 Arcade system now costs under $200 in the US, the PlayStation 3 cost of $399 over in the States "is simply too steep to entice the casual and mainstream markets, regardless of how great Resistance 2 and LittleBigPlanet may be," adds the analyst. Divnich estimates that there were 320,000 Xbox 360s sold in September in the US compared with 215,000 PlayStation 3, but also notes that "if September hardware sales fall below our estimate (under 200,000 units), it could be an indication that the Xbox 360 price cut played a bigger role on hindering PS3 sales than what we originally expected." "The surge in Xbox 360 sales likely came from the mainstream and casual markets who were enticed by a sub-USD 200 Xbox 360 SKU," he added. TechRadar has contacted Sony for further comment on the matter.